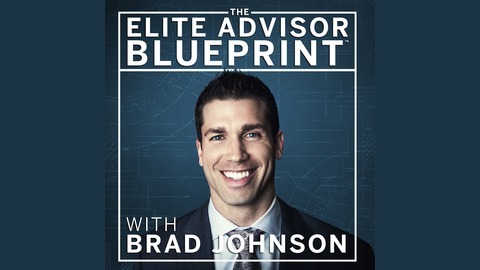 The Elite Advisor Blueprint® is a podcast dedicated to sharing the "blueprint for success" in the independent financial advising world. Based on Brad's decade of experience consulting the top advisors in the US, that could mean doubling your revenue, doubling your vacation, or BOTH! Continuing the successful formula of idea sharing that led Advisors Excel to be the #1 player in its industry, Brad distills the best advice from top thought leaders and applies it to the world of independent financial advising. Interviews with top thought leaders and industry experts, including Michael Hyatt, Ron Carson, Dan Sullivan, Donald Miller, Joey Coleman, Aaron Klein, John Ruhlin, Cameron Herold, Tucker Max and many more! 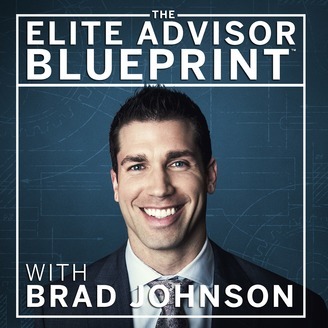 Brad Johnson is VP of Advisor Development at Advisors Excel and mentors a small group of the country’s most elite financial advisors. This group captured close to $1B of new assets last year and relies on Brad and his team to help them maximize their marketing ROI, streamline their client acquisition process, and run their business like a CEO - not a salesperson. It's very difficult to outperform the core group of associations you surround yourself with and the simple formula of focusing on the biggest and brightest financial advisors in the country and facilitating the ease of how ideas are shared among them has led to industry leading results. Hal Elrod is back for round 2 on the podcast! If you're unfamiliar with Hal and his Miracle Morning book and the morning routine that’s created a movement for millions worldwide, be sure to check out our first conversation, it's Episode #32. Hal last joined the podcast back in 2017, it was literally his first interview since being diagnosed cancer free. Since then, in addition to finishing his new book (which we’ll dive deep into today), he’s also wrapped up a soon-to-be-released documentary on the Miracle Morning, he hosts his own podcast, speaks for audiences around the world, and flat out stays busier than anyone else I know... and that in less than two years since recovering from a life-threatening illness.